Mehjabeen mehjabeen Federal Urdu University of Arts ,Science and Technology. Objective: To study the correlation of hearing loss with depression, anxiety and stress in patients suffering from chronic suppurative otitis media in local population of Pakistan. 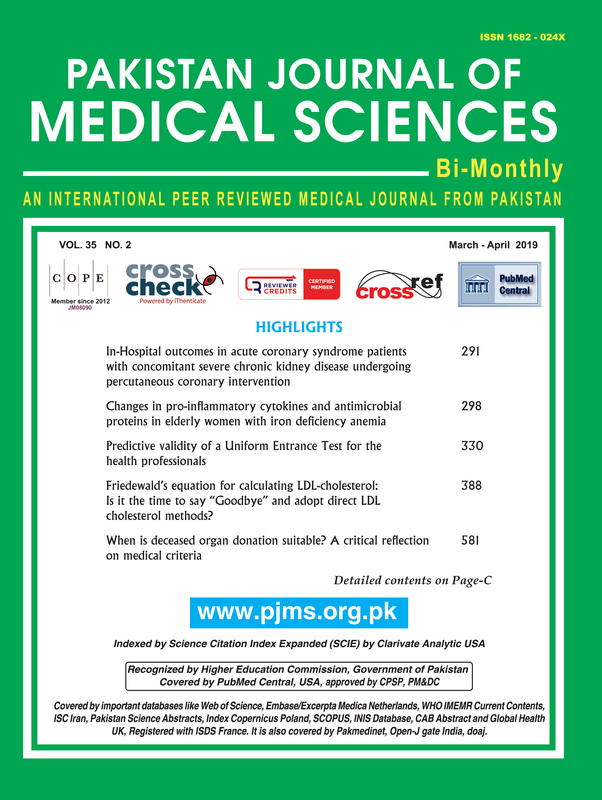 Methods: This is a cross-sectional study conducted from May to September 2018 at tertiary care hospital of Karachi. One hundred and twenty patients of chronic suppurative otitis media were divided into three groups: Group-1 (maintained on ciprofloxacin), Group-2 (maintained on co-amoxicillin) and Group-3 (did not subject to the treatment).The measurement of hearing loss was carried out by pure tone audiometry (PTA) and the depression, anxiety and stress were scored taking depression, anxiety and stress scale (DASS) as tool. To observe the effect of hearing loss on different groups one way ANOVA was applied and Spearman correlation was used to find correlation of depression with hearing loss. Results: There was no significant difference found for hearing loss and severity among the groups treated with ciprofloxacin, co-amoxicillin and not maintained on antibiotic therapy. Positive correlations found between hearing loss and depression, anxiety and stress in patients of the three groups. Conclusion: Depression induced by hearing loss as a result of CSOM in patients need to be monitored during and after treatment and scored so that can be treated by counseling and antidepressant (if required). Information regarding this topic on population of Pakistan will be helpful for health care takers and policy makers to manage mental stress with hearing loss in CSOM.